Global Art offers structured programmes suitable for students from 3 to 16 years old. Programmes are designed to encourage students to develop their artistic skills, broaden their creative thinking, deepen their interest in art, increase self-esteem, boost confidence in problem solving and promote adoption of logical sequencing in the developing of ideas. We believe that the strength of the system lies in its emphasis, not on the outcomes but on the creative process. 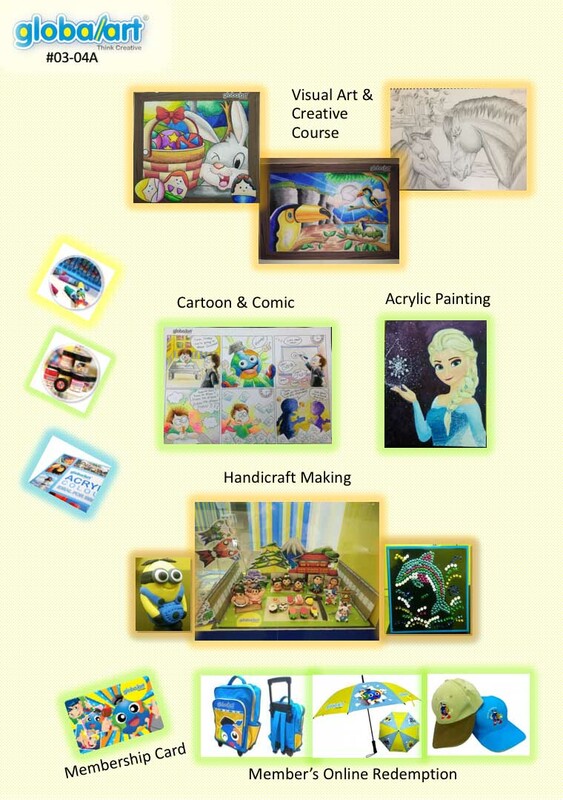 Our programmes include Visual Art & Creative, Cartoon & Comic, Acrylic Painting and Handicraft Making. For more information, visit www.globalart.com.sg, www.facebook.com/kallang.globalart or download globalart App now!